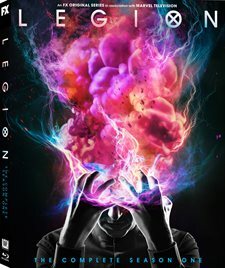 Download Legion in Digital HD from the iTunes store. 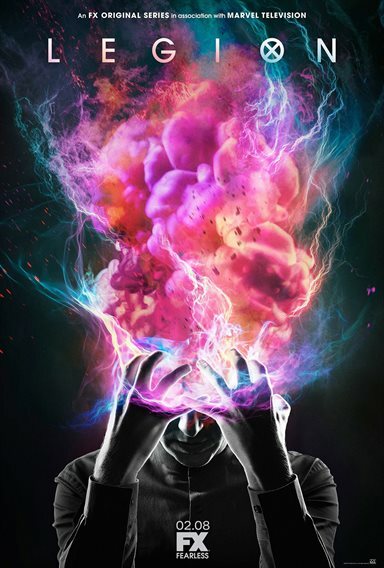 Legion images are © 20th Century Fox. All Rights Reserved. Supernatural beings seem to be everywhere in our entertainment media. They are taking over movie screens and televisions across the country. From monsters invading earth to superheroes saving it, there are a plethora of life forms for us to soak up. Marvel television brought another entity to its ever-expanding universe this past year with the creation of the tv show Legion. Airing on FX channel it takes us into the world of X-Men and introduces us to a whole new generation of mutants. The beings, much like their movie counterparts, haven't set out to either destroy or save the earth, they are simply trying to survive while the government wants to experiment on them. As season two of the hit series plans to debut this week, I took a look at the first season and what it had to offer. In this show, we meet David Haller (Dan Stevens; Beauty and the Beast) who has been treated since the time he was young as Schizophrenic (which, spoiler alert: isn't completely off the mark). Turns out, though, he was simply a mutant. At the time we are introduced to him, he is a patient at Clockworks Psychiatric Hospital where he meets fellow patient Sydney "Syd" Barrett (Rachel Keller; Fargo). Before her release, they kiss and somehow their minds to switch bodies. This starts a series of events beginning with David ending up at Summerland where he meets Melanie (Jean Smart; Designing Women) and Ptonomy (Jeremie Harris; Person of Interest). As Melanie and Ptonomy try to assist David with his "memory work", the season takes several twists and turns and we find out that many times the characters are either in David's mind or he is teleporting somewhere else. Suddenly, five episodes in, we discover that David is infected with a parasite – The Devil with the Yellow Eyes/Amahl Farouk, The Shadow King, a powerful mutant who is on the astral plane (newcomer Quinton Boisclair) – hence my Schizophrenic comment earlier. We also meet Amy (Katie Aselton; The Gift), David's sister whom he must rescue. By the end of season one, we have been introduced to several mutants and some enemies and David is miniaturized and captured. Confused yet? Yeah me too. This series is certainly the intellectual version of X-Men with numerous plot points to follow and think about. There is switching back and forth between the "real world" and the astral plane and the parasite seems to jump bodies faster than fleas. Having said that, there is a lot to offer including a great cast. Stevens is the perfect choice to play David and he is surrounded by a group of talented actors who mesh well. He and Keller also seem to have good chemistry which is important for their relationship. The Blu-ray specs include 1080p high definition video with a 1.78:1 aspect ratio that showcases the various sets used throughout the season as well as the costumes which play a big role in telling this story. Colors are spot on and blacks are deep and true, which is important for this show in particular. The DTS-HD Master Audio 5.1 is clear with dialogue sitting comfortably in the center channel. There are also several big musical moments which come across nicely. The extras all show up on the second disc and include: Deleted Scenes, Fractured Reality: A Different Kind of Hero, and Promotional Materials that are broken down into the following seven parts: Uncanny Romance, Production Design, Powers, Make-up (Making the Devil with the Yellow Eyes), Visual Effects, Costume Design and Locations. For those who love the X-Men Universe, you should definitely check out this show as it gives you some of the aspects you like while infusing some newer ideas into the plot. The cast is great and the production is very good making this a solid option for your Mutant loving viewing.